Java Unconference in Crete. Day 3. In the morning of the third day I was running a session about developing HTML5 applications. The main discussion was on pros and cons of developing HTML5 vs native applications for the mobile devices. IMO, going native is right if you can afford it. This recommendation is as good as saying that driving Mercedes S-class is better than driving a Fiat, which I mistakenly rented. But hey, not only this small car was taking me over over the Cretan hills, but I was giving rides to other Java developers too. If you’re interested in HTML5 development, I can offer you to read unedited drafts of our upcoming O’Reilly book. Then I joined a session on Java frameworks. I believe that frameworks should be used if they allow developers to write less code and are not intrusive. The audience has divided into two camps – those who don’t like Hibernate and the camp that I belong to. I won’t repeat my reasoning here, but will rather give you a couple of links to my older blogs on the subject. Here’s the first one, and here’s one more. I’ve completed the technical part of the day attending the session by Morris Naftalin titled “Navigating Streaming API”. This is a new Java 8 feature, which looks interesting as long as you can find a use case for it. This was the only session where I didn’t have anything to say. Yet. Actually, silent attendees are in minority at this unconference. I believe only one out of four of the participants didn’t say a word at the technical sessions. For these people the JCrete unconference was even more interesting and useful – they were in the learning mode. Here’s one more thing that turns this conference into unconference. 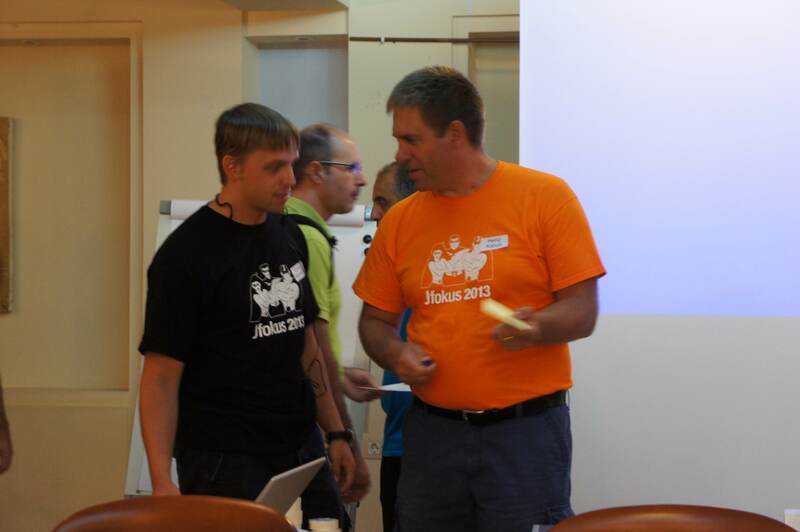 This morning JCrete organizers were wearing t-shirts of Jfokus – another Java conference. water was warm and clean. For under two euros you can get a nice cup of Greek coffee, which is a treat. 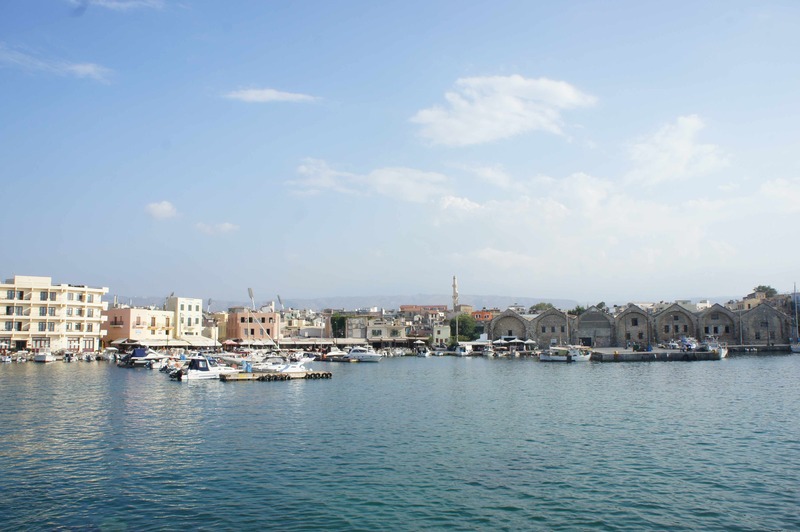 In the evening I took my wife out – we’ve visited a lively city of Chania. What do you eat in the restaurant located in the sea port? You got it – the fish. The owner of the restaurant opened the fridge and showed us the fresh catch they got an hour ago. We picked a red snapper and a similar fish, which starts with a B. In addition to the grilled fish we had Greek salad, an octopus, fried cheese and a bottle of local wine. When I asked for the bill, they brought a watermelon, grapes and a small bottle of raki, which is a better version of grappa. It was on the house. Nice! The evening finished as usual by the pool. This time Kirk treated us with an expensive Tokaj wine, which he brought from Hungary. If you can’t afford drinking expensive wines, enroll into one of the Kirk’s training classes on Java performance optimization. It seems that the demand for such skills is pretty high. One more day, and the conference is over. Previous Java Unconference in Crete. Day 2. Next Java unconference in Crete. Day 4.